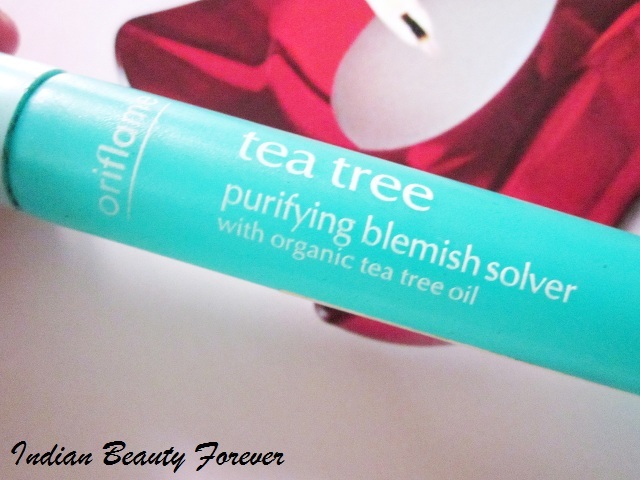 I am talking about Oriflame naturals organic tea tree and rosemary blemish solver. It's quite a long name actually. Priced- It is priced at 349 rupees. You may get it for less as they keep on giving discounts every now and then. 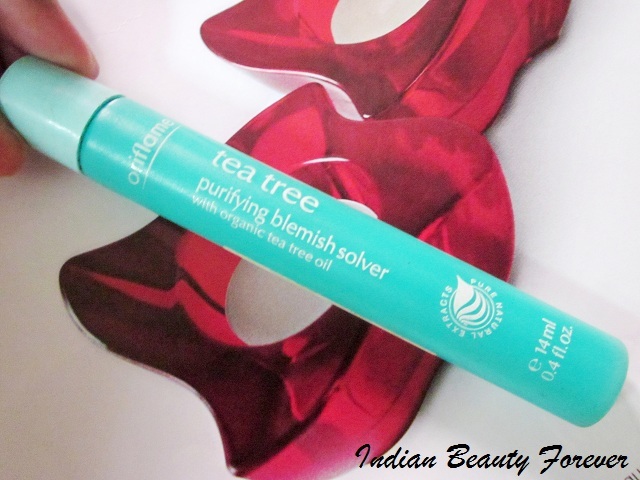 Experience- Oriflame tea tree blemish solver comes in an around six inch long tube with a head that resembles like a roll on ball. but the dome shaped green thing that you see, it isn't the ball that rolls rather it acts as a dispenser, though which only desired amount of product passes though. 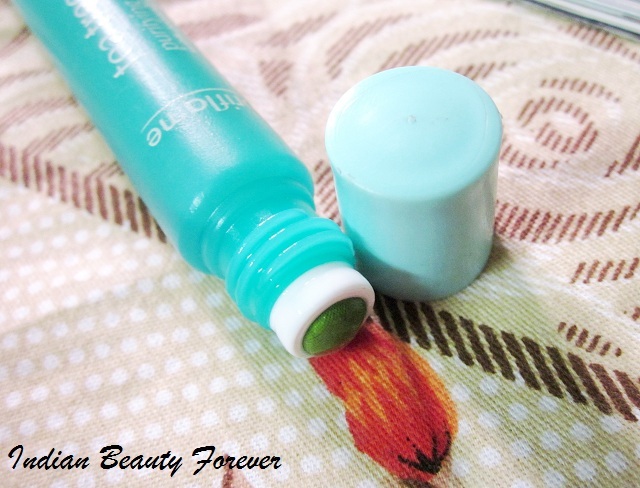 The packaging looks enticing with bright green colored tube, I will give it full marks on that. Other than that it can be easily carried on your bag without hassles and the product will not leak out. It smells like the most of the antiseptic or pure organic formulas do with tea tree smell more prominent that the other ingredients including rosemary. 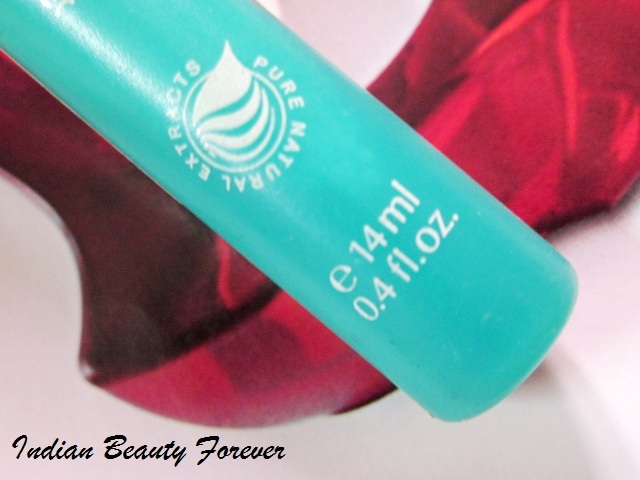 This tube contains 14 ml of the product which is like huge as it will last really really long. Tea tree oil is known for it's antibacterial, anti fungal properties and it is also said to cure the pimples by drying them out and actually healing them. My main purpose of getting this was the tea tree and rosemary oil in it. as I said these oils can be beneficial for blemish/pimples. Whenever, I come across those tiny monsters on my face, I gently dab this over the area and within minutes it will be absorbed. The redness and swelling subsides gradually and the area is healed. I noticed that for the bigger pimples it may take more time as bacterial infection is more there comparatively. Once my pimple is gone and there isn't any swelling etc, still mark is left. For that too, It can be helpful as it does helps fading those marks. But I also use some lime juice over the marks, so I will not give the entire credit to this. But it does help. Tea tree also got lots of benefits for pimple prone skin due to which a lot of brand do offer face washes, toners etc that has tea tree as one of their main ingredients. If not this then, you can also try it's oil that comes in a small bottle but I find this to be more handy and convenient to use! Available though Oriflame representatives, eBay.in and some online shopping sites. The materials at the top seems to get muddy with some residue after using it continually. 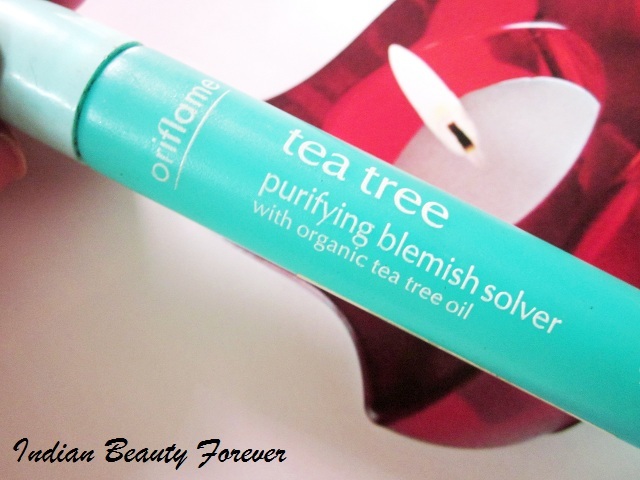 Take- Oriflame Organic Tea tree purifying Blemish Solver is easy to carry and use product that has the tea tree oil as one of it's main ingredients. It helps dry out the pimple, heals and fades the marks though the last thing does take some time.